Display Templates conceptually are tied to how a particular rendering engine (Razor or Webforms etc.) determines the Type of the model element it is trying to render and then using that information, pick up the Display Template that needs to be used. Along with type, other attributes like Data Annotations and UI Hints are also used to determine the final outcome of our UI. Let’s look at these concepts in a little more details using a simple demo app. - Use the Add Controller method to scaffold up the Controller and Views for it. When we run the application again, the view changes to the following. As we can see, the Description box is now much bigger thanks to the DataType annotation, and the labels look better thanks to the DisplayName attribute. However we still don’t have any DatePicker for our Dates, and what if we wanted the Number of hours to be a select going from 1 to 24? We could always go ahead and edit the view and cram in the required jQuery to put in a Date Picker. Similarly we could remove the default text box that our MVC scaffolding is generating and replace it with a custom “Select”. Or, there is another way around it – Custom Templates. Let’s see how we can use Custom Templates to replace the Start Date with a Date Picker. By universal template, I mean the changes that we are going to do is going to apply to the entire project. - If you save the entry and navigate back to it for Editing, you’ll see that the Edit page also has a date picker. - Fact is, here on when we use the Html.EditorFor(…) any DateTime type of field, it will get the date picker for free. Now if we wanted to reduce the scope of the Template, we could very well define it under Views\Default\EditorTemplates. This would have restricted it to the view in the Default controller. Now that we’ve seen how to do a Universal Template and a Template per controller, let’s see what it takes to create a template that will be used only if we want to use it. - Now since it has a name HoursOfTheDay it will not get bound to all Decimal fields automatically. Instead there are two options to bind it. As we can see, the UIHint provides the name of the Template to use. Again this makes it applicable to all pages to which this Entity Type is bound. With that we wrap up this peek into Custom Templates. We looked at Editor Templates specifically and how to use them either universally or in a fine grained manner. We can also use Template for managing the Display only. These go under the folder DisplayTemplates. For example we could use a Display template to show all datetime fields as short dates only. 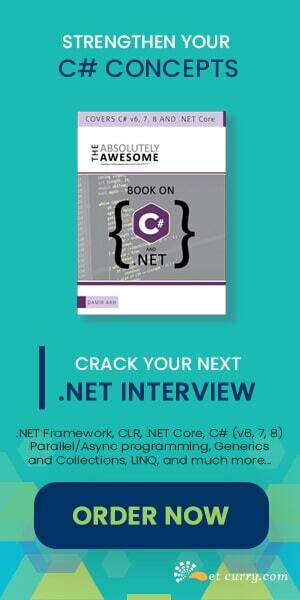 This time there is no more features in ASP.NET MVC but some of are good like bundling and minification and because of this I don't have to use more data for visitors of my site. and generally this features more liked by developers. Clear article and most helpfull. Thank you. 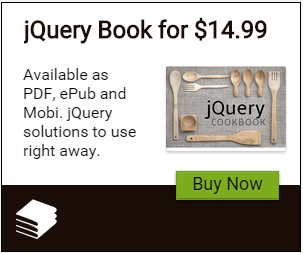 As a newbie in MVC/Razor I struggled a bit because I didn't include the JQueryUI stuff in the bundles. This caused object doesn't support errors.